Middle School Youth Ministry: Middle School Youth Ministry is offered to students in Grades 6, 7 & 8. The program is designed to introduce the students to learn more about their faith, community service and socialize with one another as young members of Holy Apostles. High School Youth Ministry: High School Youth Ministry is offered to students in Grades 9 through 12. 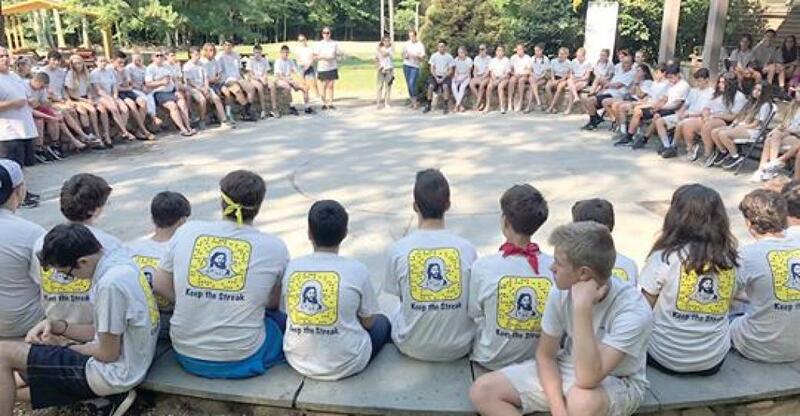 The program encourages teens to become more involved in the Church through Teen Mass, life nights, recreational nights, service opportunities, retreat experiences, mission trips and a variety of social gatherings. Please click photo for Retreat Video on YouTube.